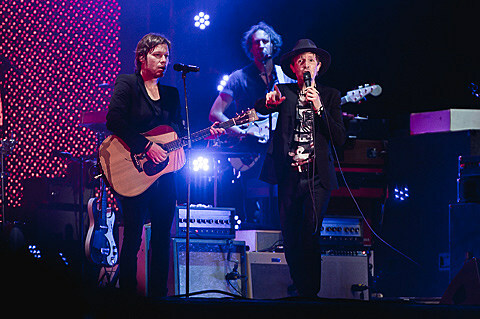 Last night Clive Davis threw his annual Grammys pre-party, and as part of the festivities, Beck joined the surviving members of Nirvana (Dave Grohl, Krist Novoselic, Pat Smear), to cover David Bowie song “The Man Who Sold the World,” which was also covered by Nirvana famously on MTV Unplugged. You can check out some videos of the performance below, along with the classic Unplugged performance, below. Tonight, Lady Gaga leads the Grammys’ “experiential” tribute to Bowie which should be interesting.